A fast and tasty way to relieve your heartburn symptoms! 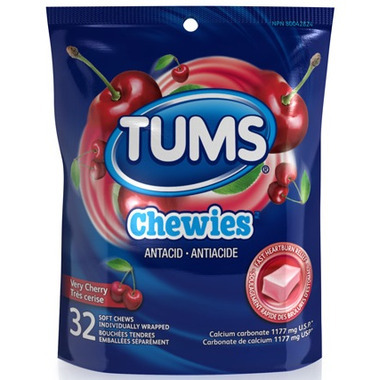 TUMS Chewies offers TUMS Ultra strength heartburn relief - now in a delicious soft chew. You’ll get fast, effective heartburn relief. Settles my heartburn quickly without the chalky after taste.